CONNECT is the public art programme for the 3Ts Hospital Redevelopment at the Royal Sussex County Hospital, Brighton. It will bring a unique quality to the new patient and public environments, reflecting the hospital's values of compassionate care for all. Photographs for each of the 37 waiting rooms across the new hospital are being commissioned in partnership with Photoworks. 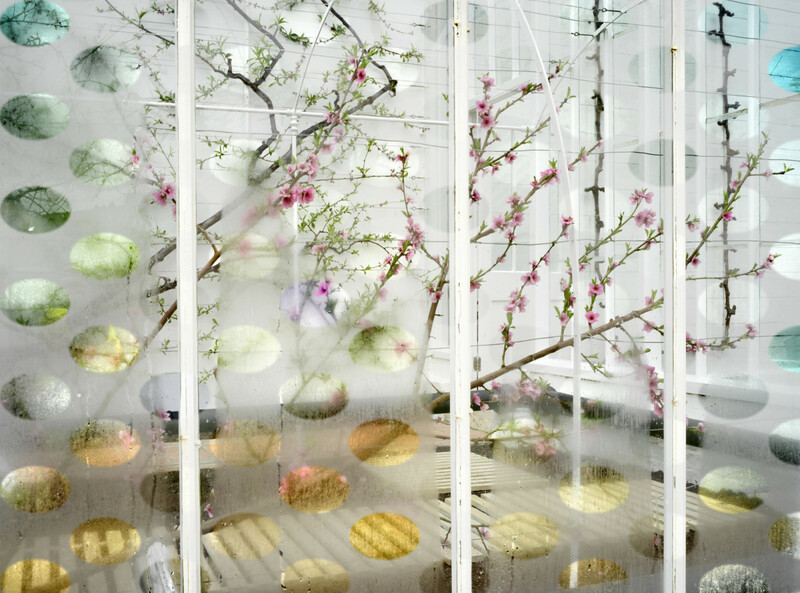 This one is Peach Blossom 3 by Helen Sear. CONNECT is being delivered by Willis Newson in partnership with Brighton and Sussex University Hospitals NHS Trust and the Trust's ongoing arts programme Onward Arts, architects BDP and construction partner Laing O'Rourke. The CONNECT team is working closely with partners across Brighton and Sussex including Photoworks, ONCA, Nimbus and a range of local artists. Sanctuary: The hospital Sanctuary is crucial in giving priority to the human, emotional and spiritual needs of patients, visitors or staff. Sharon Ting, a textile artist who creates colourful abstract panels for public spaces, has been appointed to help create a space which is warm, soft, welcoming and inspiring, where people can find solace and comfort. Welcome Space: Artist Kate Blee will celebrate the relationship between colour and texture by cladding the large structural columns in the hospital reception with colourful, hand-made, ceramic tiles, embodying the mood and boldness of Brighton, and bringing joyfulness into the space. Waiting Spaces: A permanent collection of photographic artworks is being commissioned in partnership with Photoworks for each of the 37 public waiting rooms within the new hospital. Underlining a sense of place and connecting patients and the local environment, the four themes chosen for the photography programme are Sussex, South Downs, Brighton and Coast. 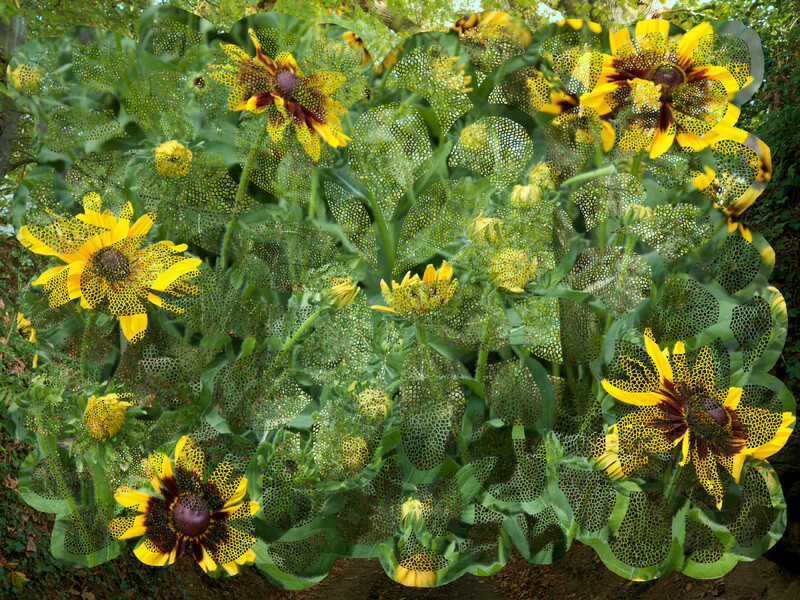 Internationally-recognised photographer Helen Sear, has been appointed as Lead Photographer to produce Sussex themed commissioned work. Murray Ballard, Zoe Childerley, and Celine Marchbank have each been appointed from a nationwide open call to create images in response to the themes South Downs, Brighton and Coast. The appointed photographers will research relevant locations across the county and will also look to work directly with local communities to develop a creative collection of images to enliven the waiting rooms and contribute to patient wellbeing. Art and Wayfinding Project: The wayfinding strategy for the 3Ts Redevelopment will mean that visitors to the new hospital will be able to find their way around using feature artworks, as well as the signage system. Following an open call, 12 artists and illustrators have been appointed to create original works in response to the theme ‘Connect with Place’. Sky Gardens: The new hospital will have a series of extraordinary gardens situated across the roofs of the new buildings overlooking the sea. Brighton-based ceramic artist Marion Brandis is working with the BDP Landscape team to integrate artworks which make the most of the location. 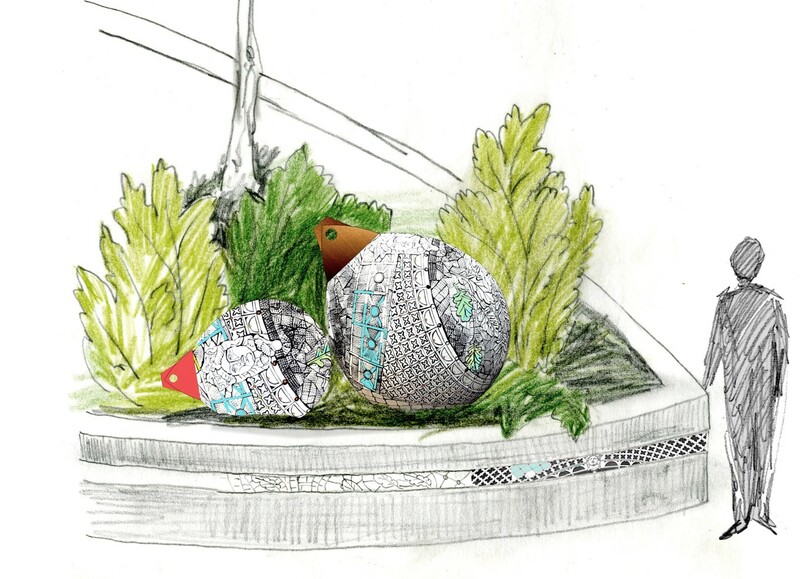 Marion is proposing artworks across five of the roof gardens to create a therapeutic, restful and welcoming environment for patients, their families, visitors and the staff team. 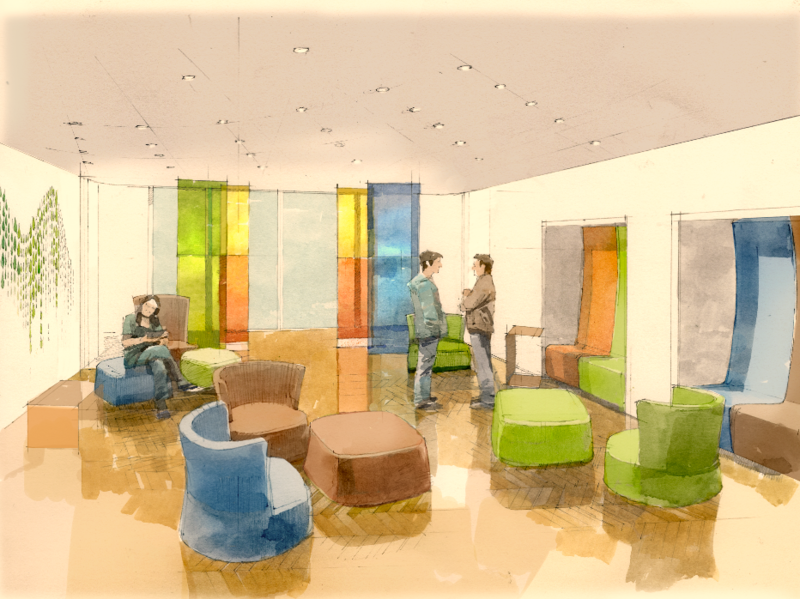 The gardens will provide a space for relaxation, distraction and sensory stimulus, and will also aim to meet the specific needs of different patient groups (e.g. children, older adults etc). Proposals include ceramic focal points, feature planters and a series of round ceramic tiles printed with images of Brighton and Sussex. Emerge: Emerge is a creative project for staff in departments affected by the transition into the 3Ts. Brighton-based arts organisation ONCA will develop creative activities for staff, to support wellbeing in this time of change. • Create something for the new building to benefit staff (this legacy might be a project that is delivered in the new hospital or an artwork for the new hospital). The Legacy Project: Brighton-based arts collective Nimbus has been appointed to deliver a legacy project by creating a permanent artwork celebrating the history and heritage of the Royal Sussex County Hospital. In doing so, they will be working closely with, and drawing on the findings of, the Heritage Lottery Funded project, the Royal Sussex County Hospital A People’s History from the 19th Century to the 21st Century, which is identifying, preserving and interpreting the social heritage of the hospital leading up to the redevelopment. Nimbus will be creatively responding to this heritage research to create an artwork for the new hospital that responds to and reflects its rich and varied history. Find out more on the CONNECT website.